Men and women have contrasting preferences regarding the age of their sexual partners. Once I got into the dating game myself, I began to wonder what is it that drives me and others to find preferred mates. I was in college back then; specifically one that had just women in them, so there were conversations around this subject. Soon enough, I found a pattern – most of them wanted stable relationships, also preferred the relationship to escalate to marriage. There were some exceptions, of course. On the contrary, the mentalities of my male friends were a bit different. All they wanted to do was have a good time and settle into life when “the calling” came. In time, I saw that there were more nuances to this. As I read and experienced, I realized that the themes I had seen among people I knew closely, were being repeated in other social groups (that I wasn’t part of). And that gender had a lot to do with the choice. These disintegrated pieces of information came together to form something cohesive – that women look for men who can provide them emotional support and bring stability, while men keep an eye on women who are physically attractive and as a corollary, fertile in the most biological sense. But is that all that matters? Apparently, that is not all. In more studies than one, researchers have figured that when it comes to the dating game, men and women actually work with age preferences, though with varying differences. So, what’s age got to do with it? Dating has to do quite a bit with the external appearance of one’s age. Many have cited the “half plus seven” rule across studies, while others have plotted and replotted what it means to date with age preferences in mind. This rule is meant to find out the minimum acceptable age of a prospective partner based on your own. 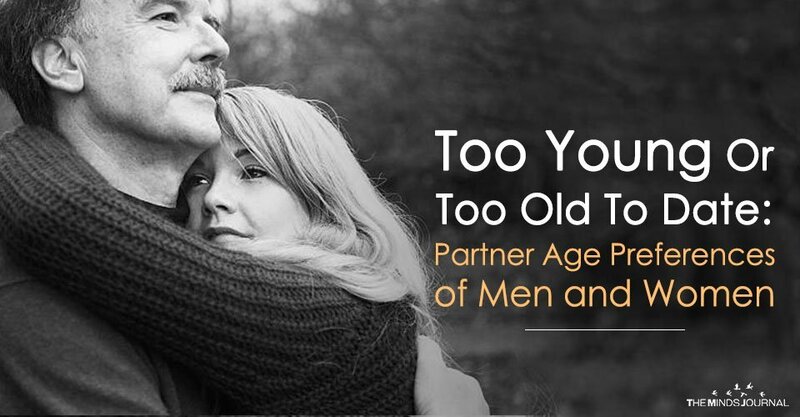 There is also the other side of the rule, albeit being much talked about topic, to establish the maximum acceptable age of a prospective partner, in such case, you subtract 7 from your age and then double it. The rule certainly allows people to make estimations of their shifting age preferences, but beyond that I have wondered how it reflects actual real-world preferences of both men and women. Interesting studies across the world have tried to take a dig deeper into this and the findings are revealed. What do the studies reveal? The age of a prospective partner in marriage is still slightly higher than the age of someone they’d consider for a relationship. On the contrary, for falling in love, casual affairs and sexual fantasies, the bar dips much lower than the minimum acceptable age, that for sexual fantasies being much lower. In terms of maximum acceptable age bar, men seem to want to stay well within the bounds. The study in fact states that men in their 40’s prefer women about the same age.